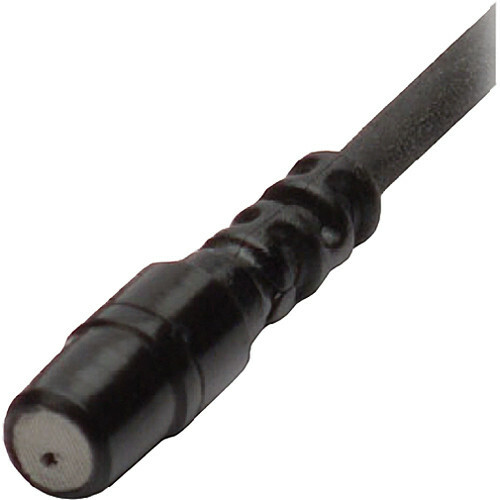 The black Countryman B2D Directional Lavalier with Detachable SL Connector for Shure Wireless Transmitters features a lightweight 0.18-ounce body that was designed to be discreetly mounted. It is set to Countryman's Gray Band sensitivity for chest miking. The B2D can be used for miking news anchors, actors in a film or theater setting, or lecturers in a school setting or house of worship. This B2D has a Switchcraft TA4F termination and is designed to work with Shure FP1, PG1, PGX1, PGXD1, SLX1, ULX1, ULXD1, UR1, and UR1M wireless transmitters. Box Dimensions (LxWxH) 8.0 x 4.0 x 1.3"